Thanks Velo-Retro.com for the image. You can find much more information about Mario Confente by using the ICJ custom search on the right margin. The winning partnership between Sidi Sport and Liquigas Sport continues. Once again Sidi Sport shoes will be used by Liquigas-Cannondale. 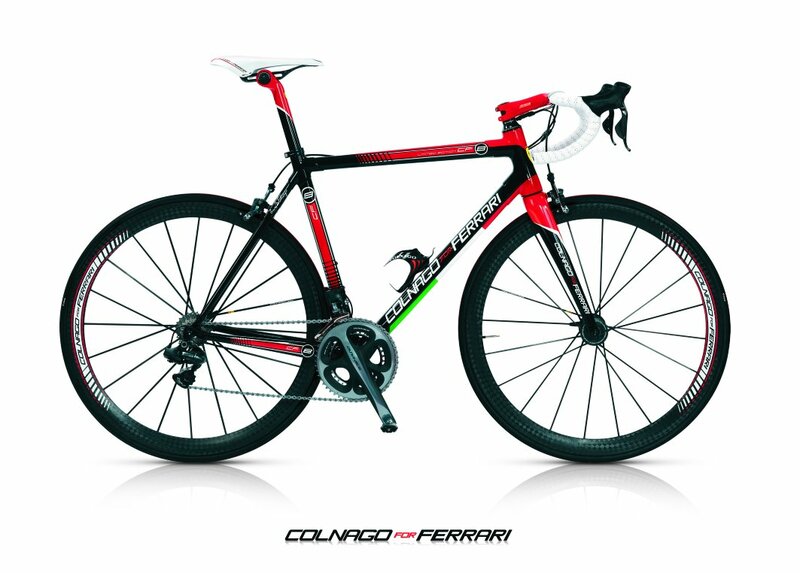 Ivan Basso, Vincenzo Nibali and all the other riders from the Liquigas-Cannondale team will be supplied with the new Ergo 3 Carbon Vernice and the Genius 6.6 Carbon Lite model, shoes from the top of the line in the Sidi Sport collection for the road sector. 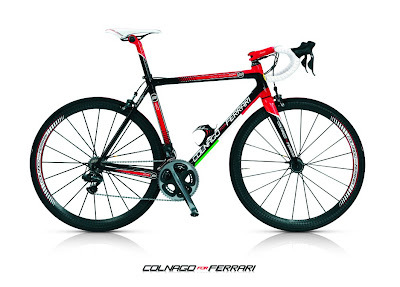 The new Ergo 3 Carbon Vernice is the shoe which is the new top model for 2012. For Liquigas Cannondale, Sidi chose to produce this shoe in special colors. Dino Signori (right), founder and owner of Sidi Sport, and his daughter Rosella presented the new shoes to Team Manager Roberto Amadio with the Ergo 3 Carbon Vernice in special graphics dedicated exclusively to the team. These special graphics were custom made for the team and are not available in stores. 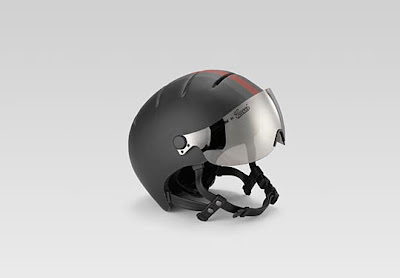 The Ergo 3 Carbon Vernice is lighter and more resistant than ever, made in Lorica® microfiber, patent leather and nylon mesh in a mix of technology and design. For the first time the shoe features graphics printed both on the external uppers as well as inside the shoe for an even more attractive look. The Vent sole in carbon features an air flow mechanism that guarantees major breathability for the foot. The shoes were presented during the dinner organized by Sidi Sport to celebrate San Crispino, the "Protective Saint of Shoemakers". Do any of these exist? 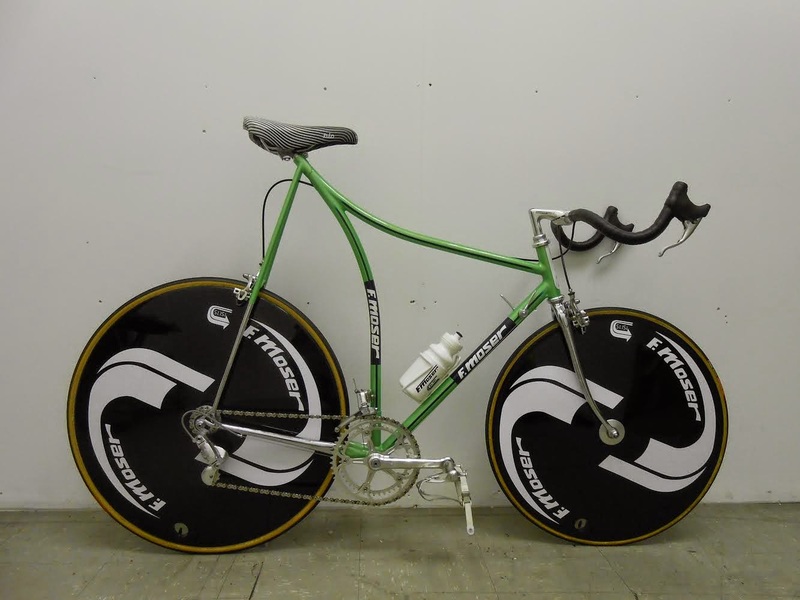 If someone has a Campagnolo tennis racquet please send a photo in. 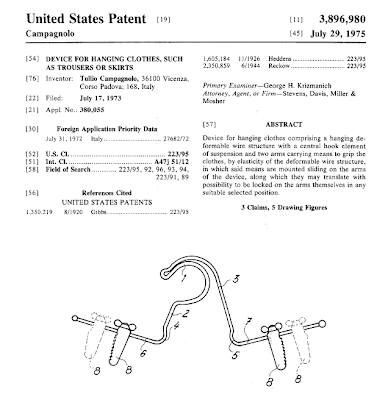 Campagnolo also made corkscrews, nutcrackers, and car wheels. 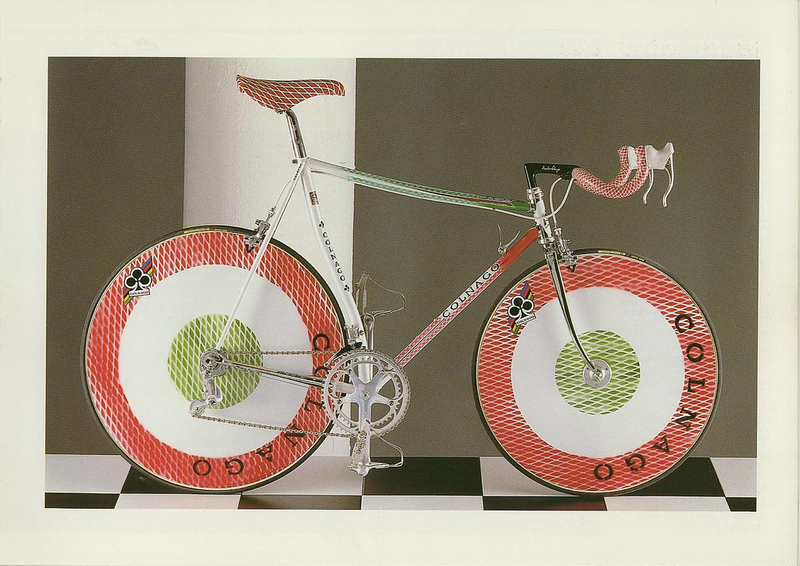 Thanks Velo-Retro.com for finding the image. 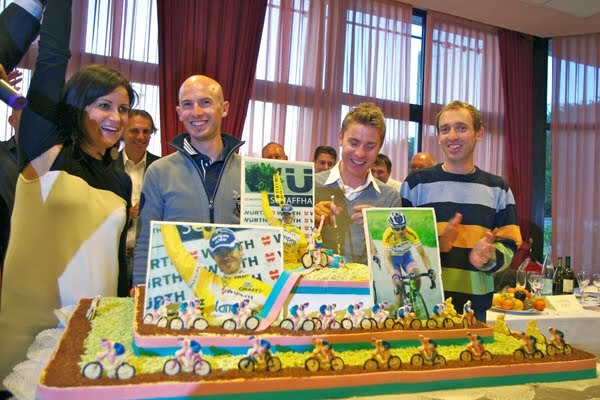 After a long season many of the riders get together with their fan club for a luncheon or dinner to celebrate. Recently the Damiano Cunego Fan Club celebrated in Peschiera del Garda at Lake Garda. 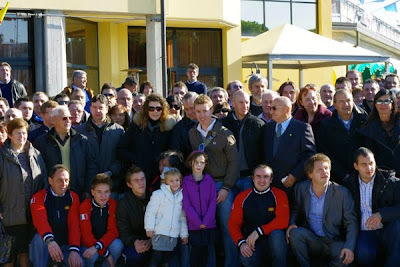 More than 200 supporters attended along with teammates Marzano and Bertagnolli. "It's always a beautiful thing when you have the chance to celebrate with all your friends," Cunego explained. "During races I always see so many of my fans on the sides of the roads, they're outstanding and there are no fans like them. I think it's important to celebrate with them." 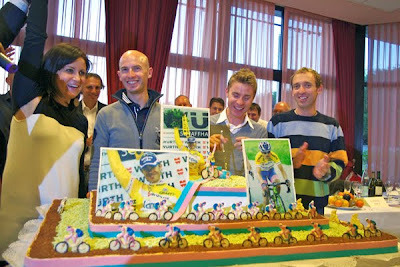 Another rider celebrating with his fans in Verona was Elia Viviani (center of photo) of Liquigas-Cannondale. This up and coming rider won his first Pro Tour stage victory this year at the Tour of Beijing. 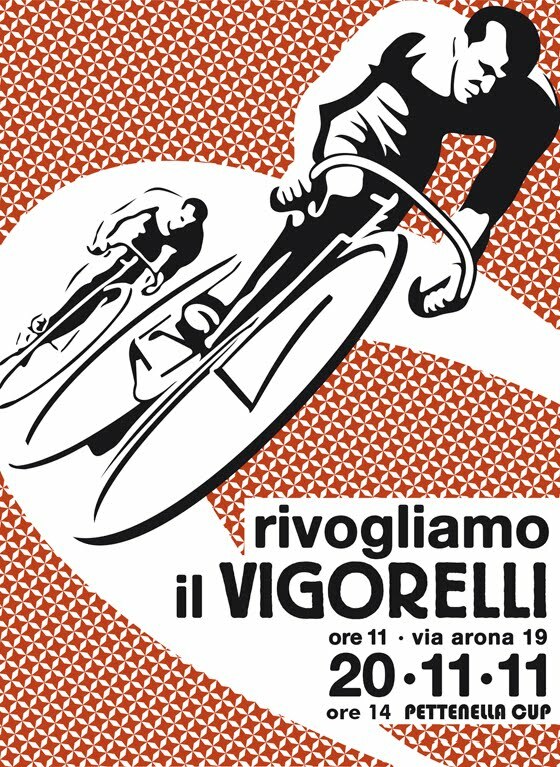 With Bianchi sponsoring Androni Giocattoli-CIPI and now Vacansoleil-DCM (which will be using Bianchi Oltre bikes in all the major tours) they are launching a new bike test tour around Italy. Fans will be able to test ride the Oltre and the Methanol SL2 and Methanol 29 SL mtbs. - Piemonte, February 25 and 26, 2012. 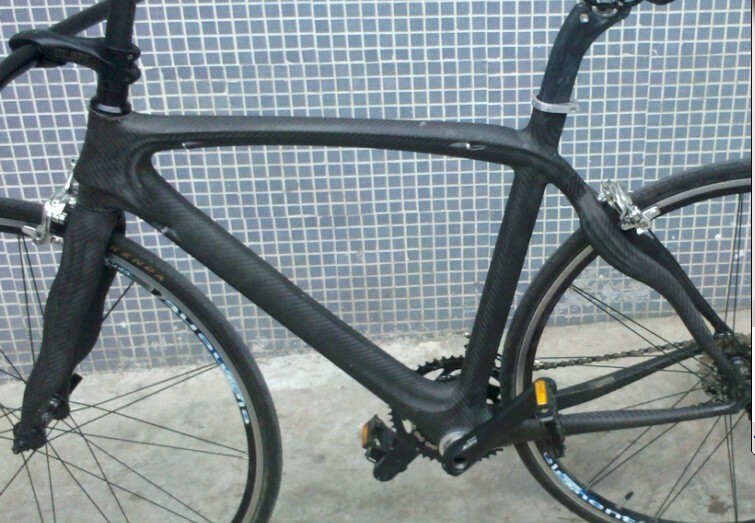 Back in March, here, we discussed the topic of the fake Pinarello bikes coming out of Asia. 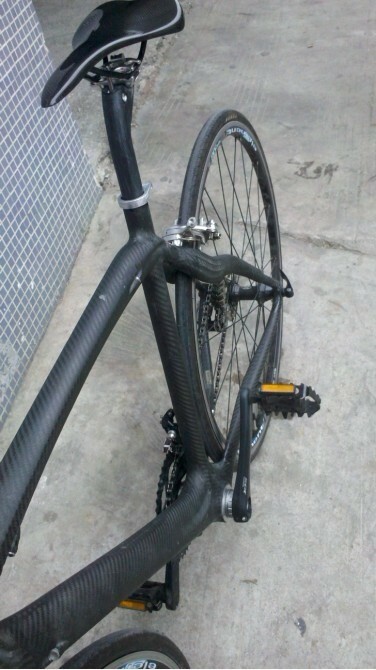 The fake Dogmas could be identified by slight differences from the real Pinarello bikes. 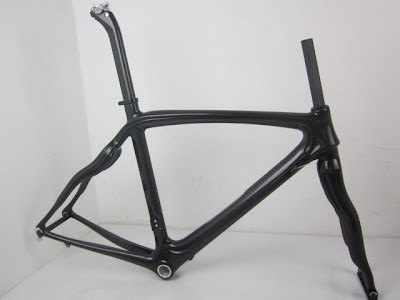 With the Pinarello release of the new Dogma2 the counterfeiters have also become more precise and the visual differences between a real Dogma2 and a fake is becoming much more difficult to determine. 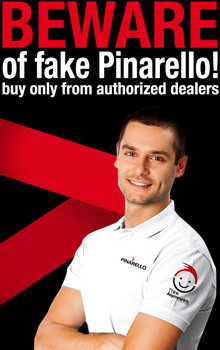 Buy only from authorized dealers to ensure you are not buying a fake Pinarello. "The Pinarello Group would like to communicate to all of its customers that preventive measures and legal action have been undertaken in order to protect our trademarks, patents and goods worldwide. This move is to prevent the increasing instances of counterfeiting and the sale of non-original or fake products. Intellectual property is fundamental for our group and is guaranteed through the registration and maintenance of trademarks and patents around the world. 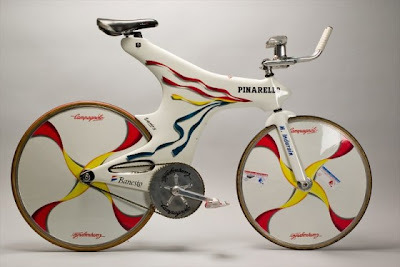 The Pinarello Group, from today, shall devote considerable time & effort in order to monitor the trafficking of counterfeit goods via the internet. The aim is to combat the growing phenomenon of fake products in the marketplace. 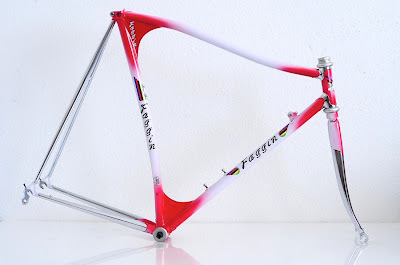 At the same time, we shall also be sending a strong message to offenders by having their counterfeit Pinarello products removed from popular online auction and general websites. 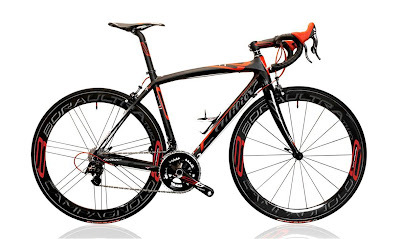 We wish to inform our customers that all our products are sold exclusively via our official Pinarello Dealers and Points; you can find your closest dealer by visiting our official website www.pinarello.com . Our resellers are at your complete disposal and shall provide you with all the information required prior to the purchase of our products/s. We remind that our warranty and the after-sale services are only available upon the purchase of our genuine & original products." Available in two colors as pictured; click on photos to enlarge. Miami hosted the final event of the 2011 Gran Fondo Colnago series, with stars from the world of professional cycling and Formula 1 joining 1500 participants from 46 countries. Tour de France winner Jan Ullrich was the special guest for the event and he was joined by Giro d’Italia winners Gilberto Simoni and Stefano Garzelli. 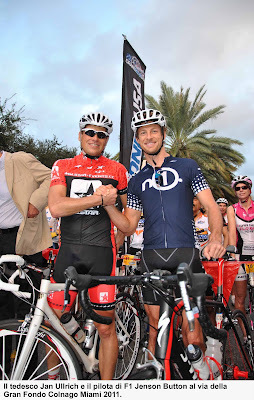 McLaren-Mercedes Formula 1 driver Jenson Button also took part. 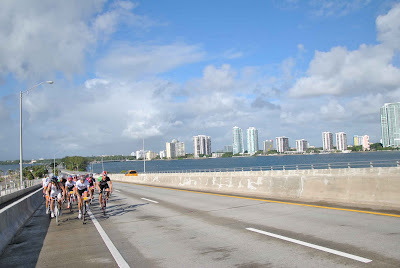 The Gran Fondo Colnago Miami was the final event of the 2011 series. Others were held in San Diego, Los Angeles/Beverly Hills and Philadelphia. Colnago sponsored all the events. “The USA Gran Fondo events are a great way for us to reach out to our clients in North America,” Alessandro Colnago said after riding with Ullrich and Button. "At 2nd November, UCI had registered the teams already holding a current licence and whose applications satisfied the registration conditions set out in the UCI regulations. Team Europcar’s application for a licence was rejected. In addition, the Licensing Commission acknowledged the withdrawal of the GEOX-TMC team’s application. 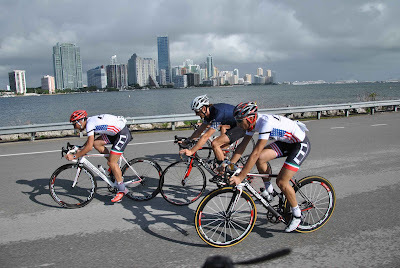 In accordance with UCI regulations, the applications of these two teams have been forwarded to the UCI administration, so that the latter may assess the possibility of registering these teams as Professional Continental Teams. The decisions concerning the GreenEDGE Cycling and RadioShack-Nissan teams will be announced later – the Commission is currently waiting for the teams to provide additional documents. Therefore, as it stands, 16 teams will take part in the UCI WorldTour 2012. 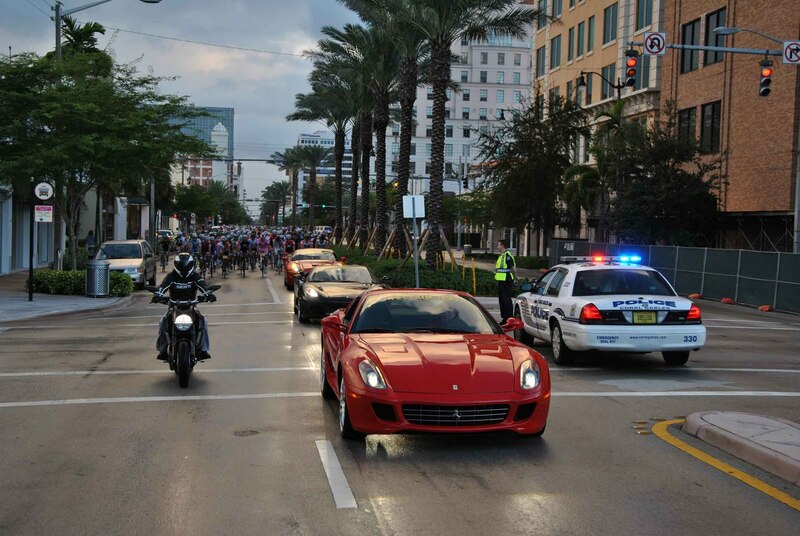 In accordance with UCI regulations, a maximum of 18 UCI ProTeams may take part in the UCI WorldTour. 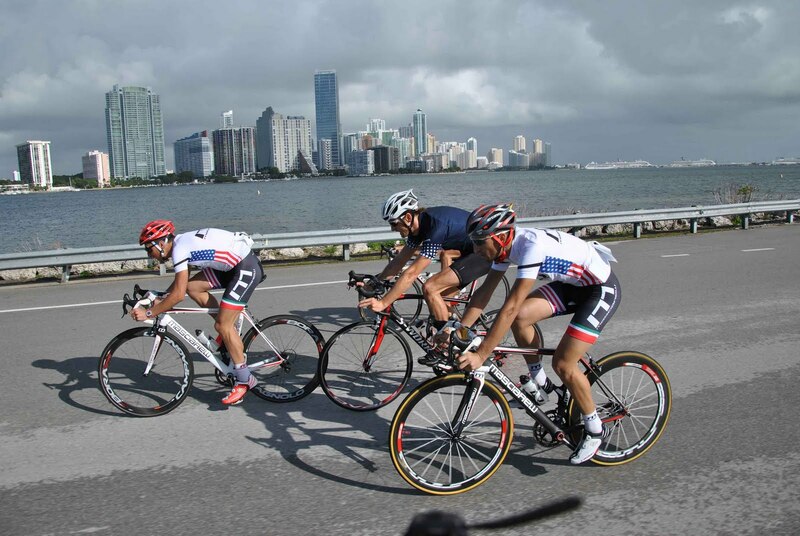 The full list of UCI Professional Continental Teams registered for the 2012 event will be announced on 12th December. The famous Velodromo Vigorelli of via Arona 19, Milano, was the site of a demonstration and petition signing by cyclists yesterday calling attention to this cathedral of cycling which has remained unused* and in disrepair for decades. 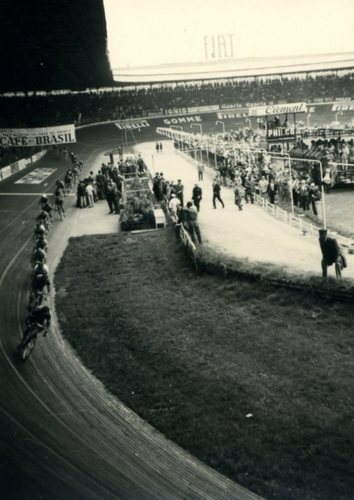 Driven by a new bicycle culture and a large group of visionary dreamers there are hopes that the Vigorelli track can be returned to the splendor of its heyday. 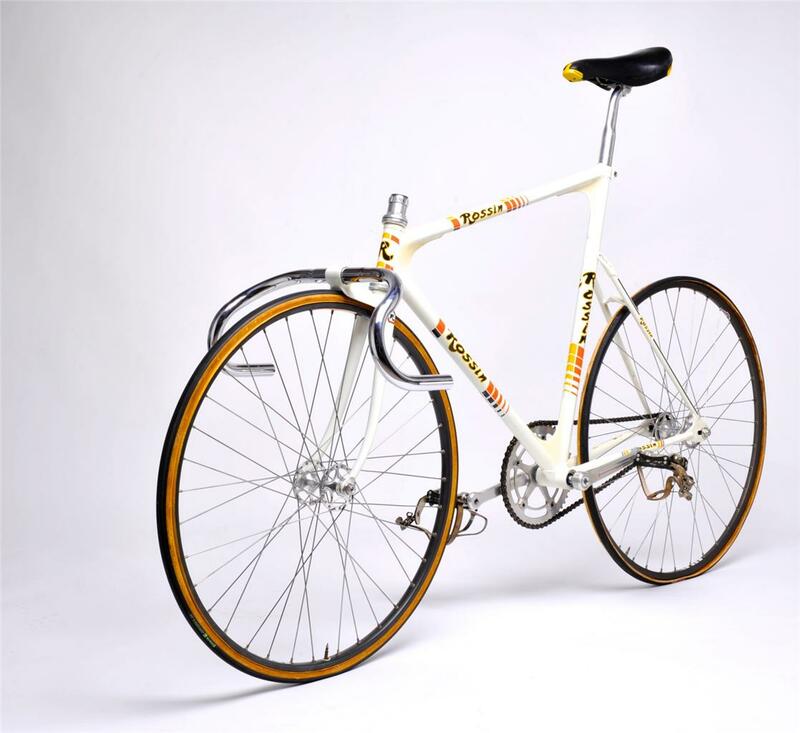 The municipal government of Milano has been criticized for not showing the foresight to recognize how an investment in restoring and improving the structure would increase the visibility for the city, especially the world of cycling. 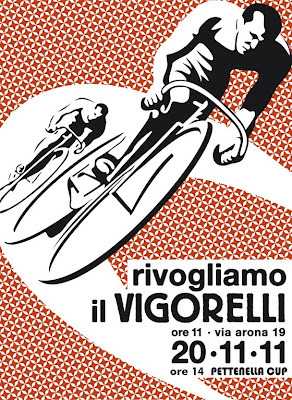 Supporters argue that the Vigorelli would not be a burden to the city but instead a resource such as the e Teatro alla Scala, the San Siro Stadium and the Castello Sforzesco. In 2007 a new, covered, Vigorelli as part of a sports palace concept was proposed to the mayor of Milano. The proposal would re-launch track racing but will also have the capability of hosting other sports such as basketball, tennis, boxing, hockey, and concerts. At a cost of 50 million Euro, and an estimated 3 years to build, the proposal went nowhere. 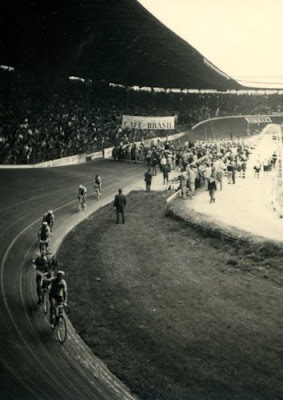 Yesterday's event also incuded the first edition of the "PETTENELLA CUP", a trackstand (surplace) competition. Read more about Giovanni Pettenella here, a good read. *the infield is used for local American football league teams. 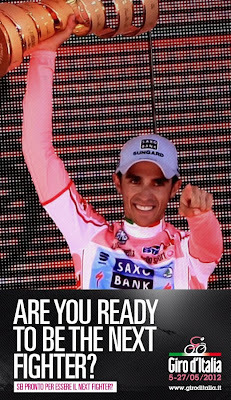 2012 Giro d'Italia: "Be the Next Fighter"
The Giro d'Italia today announced their latest contest to be held via social media. The latest initiative promoted by RCS Sport,organizers of the Corsa Rosa on behalf of La Gazzetta dello Sport, is named "Be the Next Fighter". 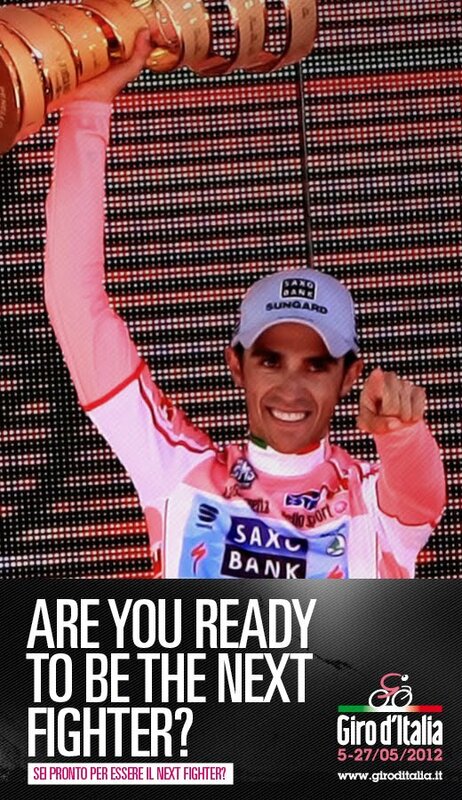 From November 21 to 28th any fan who aims to be the next “Pink Fighter” can post their personal photos on the Corsa Rosa Facebook page, www.facebook.com/giroditalia. 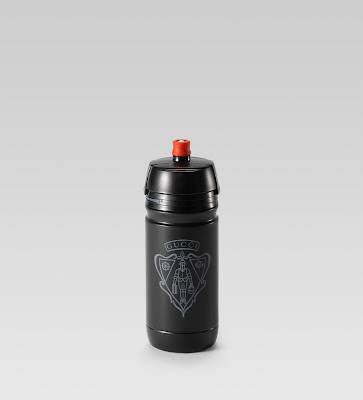 Giro campaign, will select the top 10 photos. From December 2nd to December 5th Facebook fans will vote for the best three candidates among the 10 pre-selected by McCann-Eriksson. On December 12th there will be a photo shoot of the best three candidates. 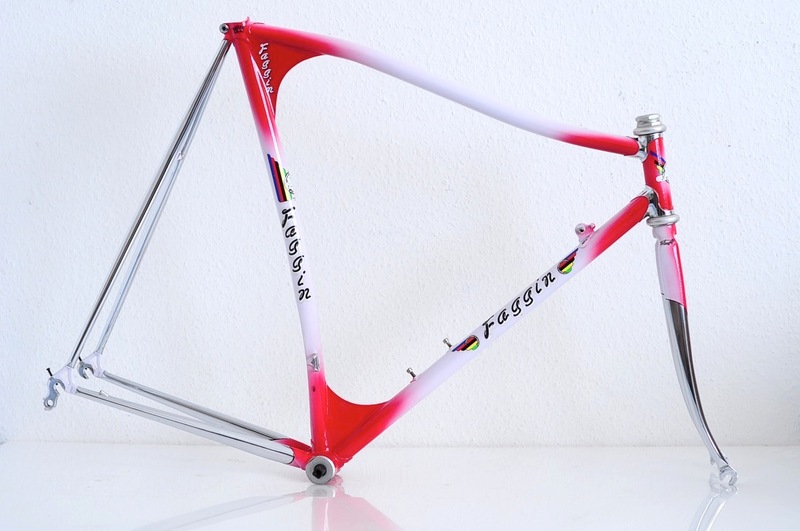 On December 15th the Girod’Italia 2012 Pink Fighter will be chosen. If you are a Facebook user be sure to check www.facebook.com/giroditalia to see what is being sent in; you will have to "like" the page first. We remind you that the 2012 Giro d’Italia will start on Saturday, May 5th, 2012 from Herning, Denmark, and it will end Sunday, May 27th, in Milan. "Just to win a salami in ridiculous races." It's not only in amateur races. Several of the major granfondo events have been tainted by doping. 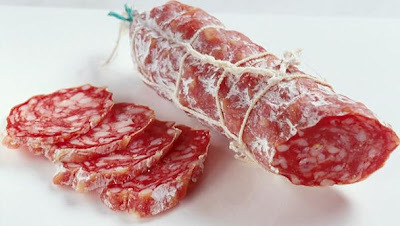 On the subject of doping, the "my steak was tainted" defense by Alberto Contador begins tomorrow before the Court of Arbitration for Sport in Lausanne, Switzerland. The hearing will last until Thursday, a decision is not expected until next year. This for Contador's positive for Clenbuterol in the 2010 Tour de France. If the finding is in favor of the UCI, Contador could be stripped of his 2010 Tour de France and 2011 Giroi d'Italia victory (more backgound here). 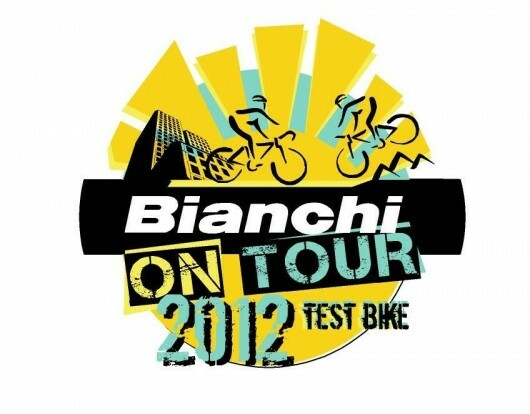 For 2012 and 2013 Bianchi will be supplying the Vacansoleil-DCM "World Tour" level team. 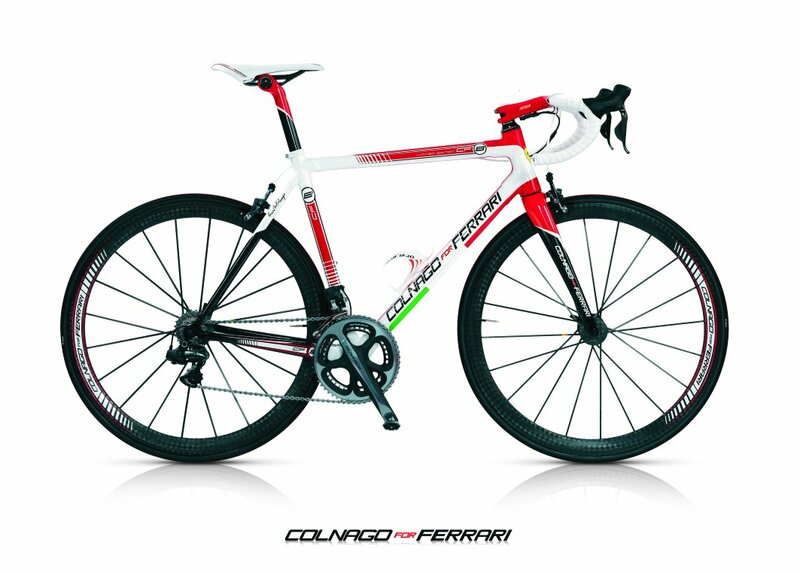 You will now be seeing Bianchi bikes in races such as the Tour de France, Giro d'Italia, Vuelta a España, Milano-Sanremo and Paris-Roubaix. 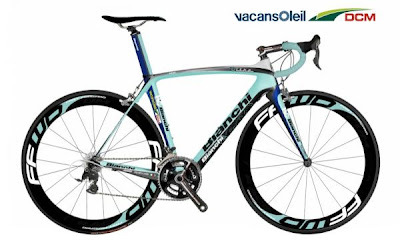 Pictured above is the Vacansoleil-DCM Bianchi Oltre. 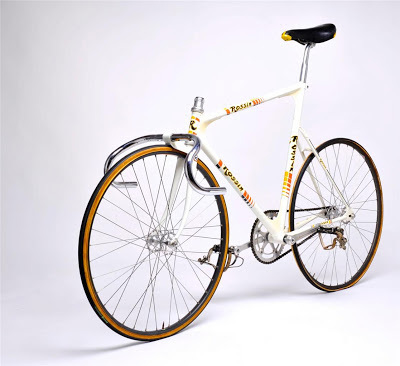 Bianchi also renewed its existing accord with Androni Giocattoli-CIPI through 2012. 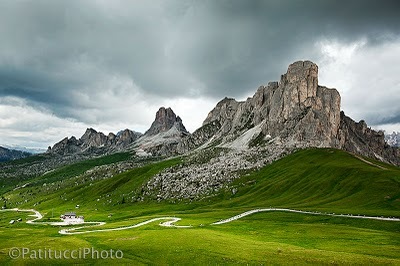 There were 29,100 entry applications from 75 countries for the 2012 Maratona dles Dolomites. 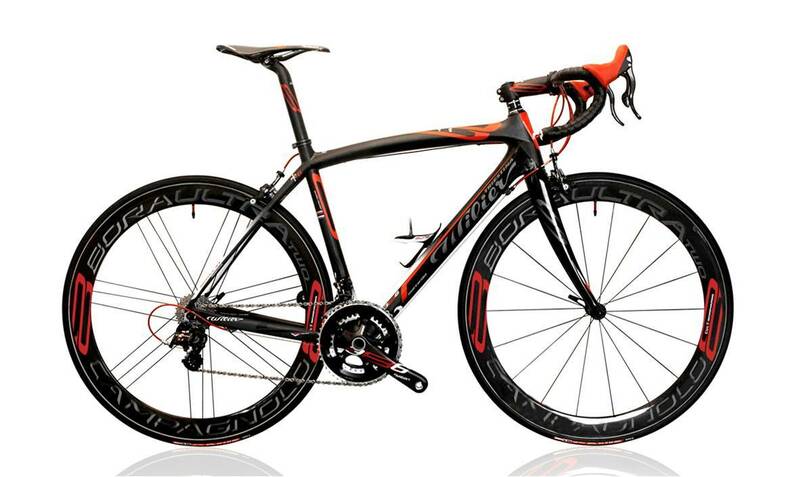 The random draw for approximately 8,000 riders has now taken place, you can find the names at www.maratona.it. 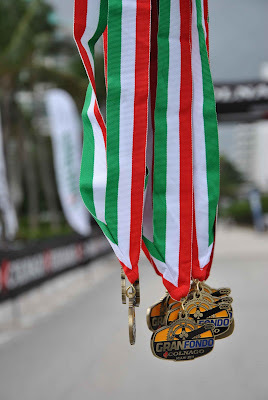 2) In addition, 165 entries (150 GOLD entries and 15 PLATINUM entries) will be sold online on www.maratonat.it on March 22, 2012. Note: Homelites, the tour package partner of the Maratona, has sold out. 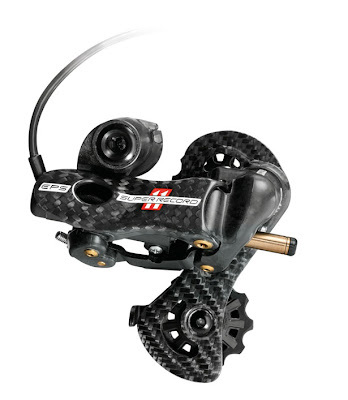 Campagnolo will soon have a dedicated website for its new Electronic Power Shift gruppo. Stay tuned! 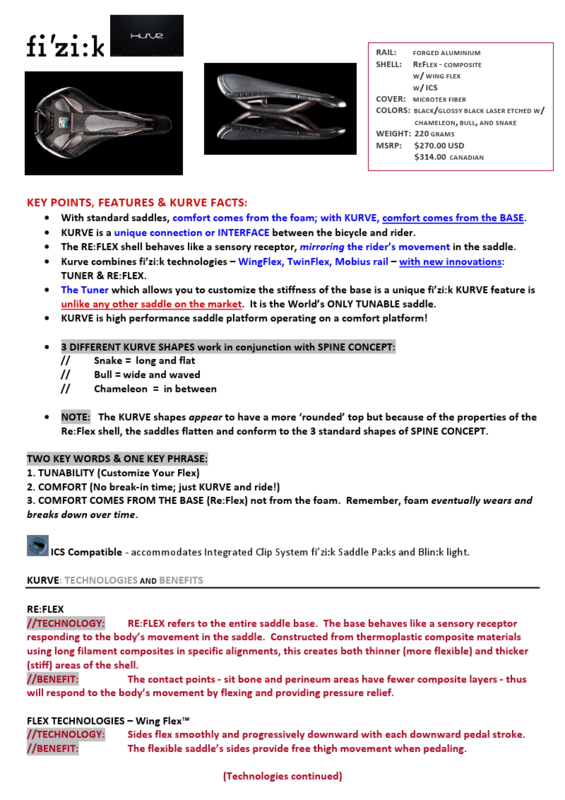 "Three years in the works, fi’zi:k’s new line of KURVE saddles are now landing on the shelves. Based on the fi’zi:k-developed saddle fit system - SPINE Concept – the KURVE line offers three corresponding saddle shapes that answer the question are you a Snake, Chameleon or a Bull? 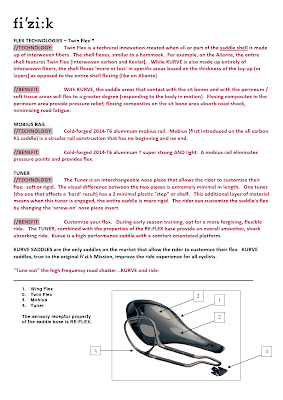 KURVE are high-performance, technologically advanced saddles that operate on a comfort platform. KURVE is the culmination of now standard-to-fi’zi:k-manufacturing technologies – WingFlex™, TwinFlex™ and Mobius rail – and new technologies: Tuner Insert and Re:Flex. 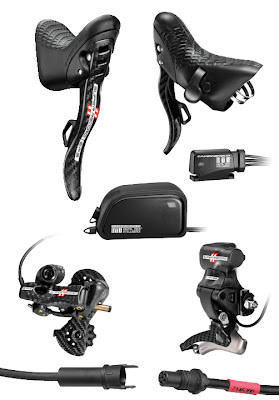 Each technology – when isolated - provides a benefit to the rider and a distinguishing saddle feature, but it is the combination of the five technologies that create a unique product-response or interface while the cyclist is engaged in riding. TwinFlex™, introduced in 2001 with the Aliante, refers to the shell structure that uses interwoven textiles allowing the base to flex. 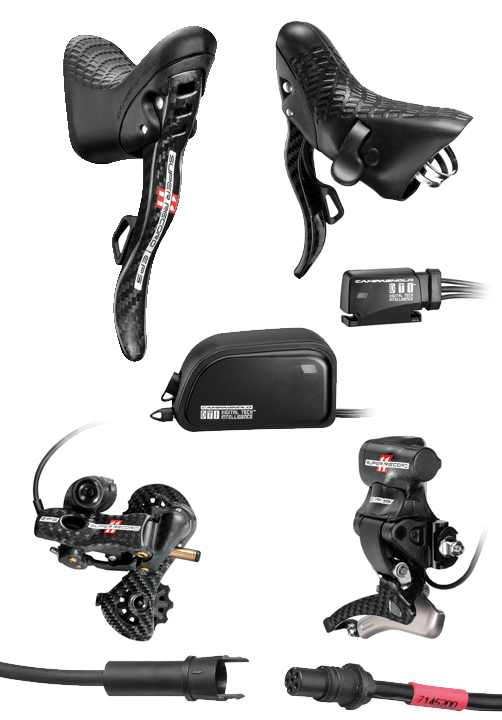 WingFlex™, having originated with the 2004 Arione, allows the saddle’s sides to break-in and flex as the rider pedals. 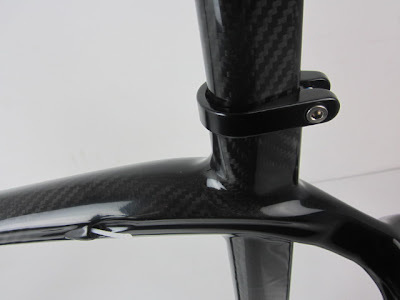 The Mobius Rail, introduced on the all-carbon K1 saddle in 2007, means the rail is one continuous ‘circular’ structure with no beginning and no end. 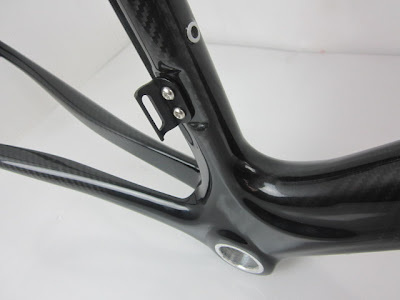 The design not only eliminates potential pressures points toward the rear of the saddle, but with KURVE, the 2014-T6 cold forged aluminum rails also provide additional side-to-side-flex or motion as the rider pedals. New to KURVE are the Re:Flex shell and the Tuner Insert technologies. 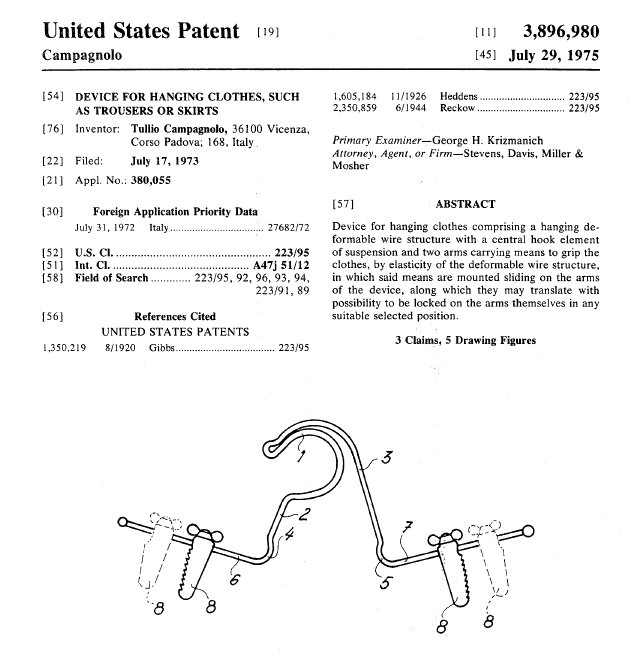 The base of all KURVE saddles – called Re:Flex - is a sensory receptor that responds to the body in motion. Made of interwoven thermoplastic composites with varying degrees of layers, the entire shell flexes. The contact points – sit bone and perineum or soft tissue areas - have fewer composite layers and respond to the body’s movement by flexing and providing pressure relief. Thicker composite layers on specific areas of the Re:Flex base provide stiffness for power and leverage. The relationship between rider and saddle is reactive as the saddle responds to the movement of the rider’s contact points on the saddle mirroring the motion of the rider. The final piece of new KURVE technology is the Tuner Insert. 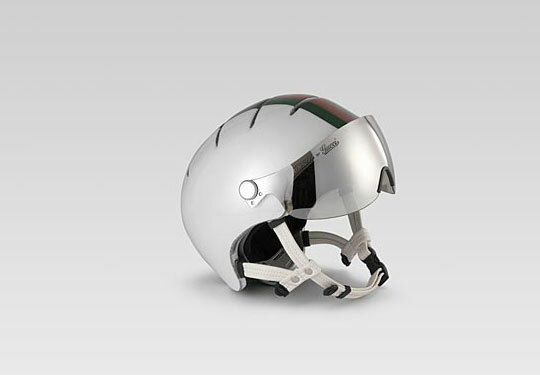 The Tuner Insert is an interchangeable nose piece that allows the rider to customize their flex. KURVE comes with two screw-in tuner inserts, soft and hard, that can be easily swapped out with an included Torx T20 key. The Tuner changes the overall stiffness and/or flexibility of the base and when combined with the properties of the RE:FLEX base, provide an overall smoother, shock absorbing ride. Working in conjunction with SPINE Concept, the KURVE line is represented by three distinct shapes based on spine flexibility and riding style. The long and flat KURVE Snake represents the Arione for riders that prefer to use the entire length of the saddle, moving forward when climbing and after when descending. The wider and ‘waved’ KURVE Bull on the other end of the SPINE Concept fit spectrum represents the Aliante, for riders with less flexibility who tend to remain in one spot whether on the tops or drops, or whether climbing, descending or powering along flats. The KURVE Chameleon represents the Antares for the cyclist who falls somewhere in between, preferring a wider platform (compared to the narrow Arione) with a substantial surface to move around and adjust for comfort. The 2011 line of KURVE Snake, Bull and Chameleon saddles are all-black with corresponding laser etched ‘animals’. Each weighs 220 grams." 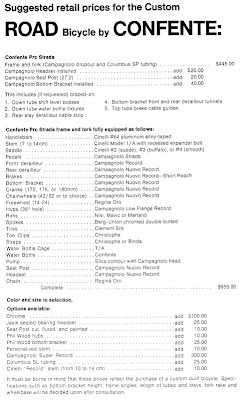 Visit www.fizik.com for more information. 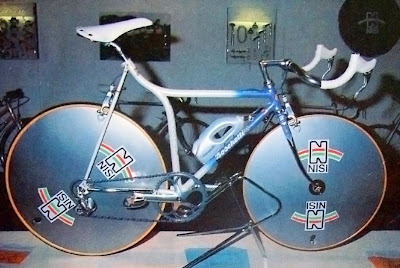 Every once in awhile we detour from Italian cycling to another subject area...this time to some interesting videos. 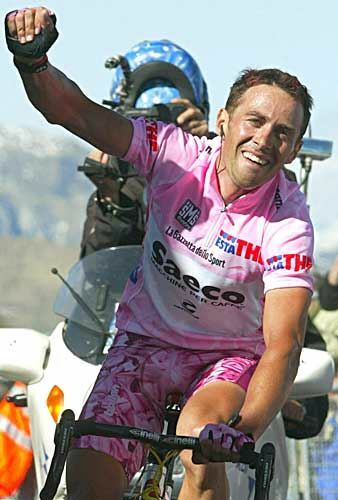 Here is the other great super guest, in addition to Jan Ullrich, that will be at the Gran Fondo Colnago Miami: Gilberto Simoni, the two time winner of the Giro d'Italia! 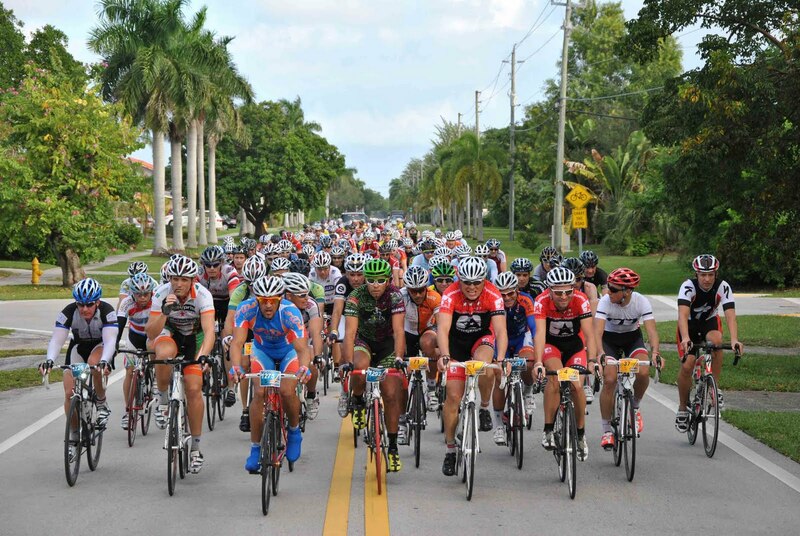 You can ride with him this Sunday or you can meet him Saturday night at the Gran Fondo Gala at La Piaggia. To purchase a ticket for the Gala click here and select GRAN VIP COCKTAIL. Online registration for the Gran Fondo Colnago Miami closes today, November 15, at midnight. Registration will re-open on Saturday, November 19 at the Event Expo pending availability. THERE WILL BE NO REGISTRATION THE DAY OF THE EVENT. NO EXCEPTIONS. All event details here. You can be the one that will decide the name of the next saddle model which will be introduced in the Selle San Marco "Collezione". If the name you suggest is selected you will win the saddle. 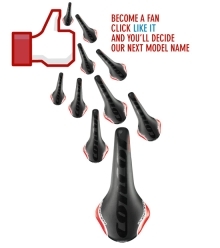 To get started you will need to click "like" on the new fan page of Selle San Marco on facebook. After that click on "welcome" on the left side of the page and follow the simple instructions. We have another deserving product that meets our qualification for a "Sticker Shock & Insanity" entry. It's the Bianchi by Gucci bike helmet available in two colors. 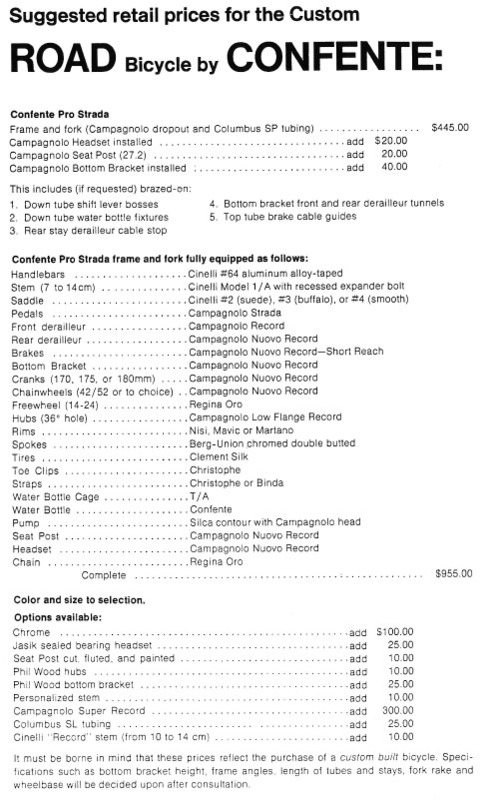 $890.00. 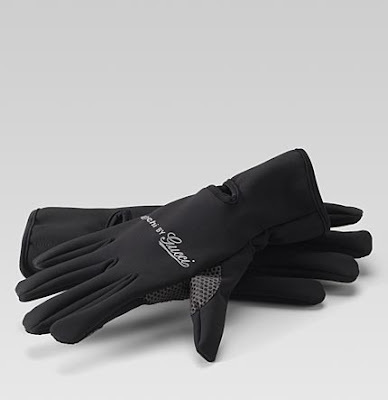 Our previous "winners" in this category were the Campagnolo Record carbon water bottle cage ($159.95), the Selle SMP full carbon saddle ($699.95), and the Rapha in collaboration with Paul Smith goatskin leather gloves ($245.00, that now look like a good deal compared to the Bianchi by Gucci nylon gloves). Congratulations to Roberto Trotta, and his Wild Boar suppor team, for finishing 14th in the solo category at the Furnace Creek 508 Bicycle Race. 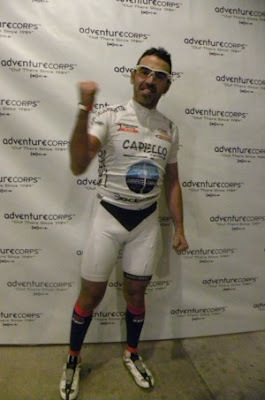 Roberto, who is from Val Susa in Piemonte, completed the 508 mile race in 37h 36’ 38’’. 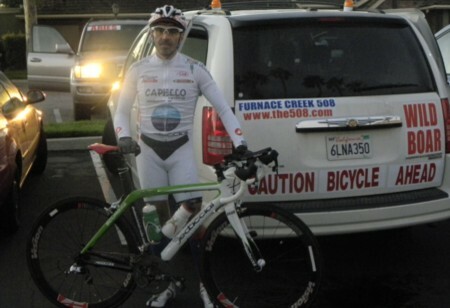 The 28th Anniversary Furnace Creek 508 Bicycle Race took place October 8-10, 2011. It is the world's premier ultramarathon bicycle race with its route of epic mountain climbs, stark desert scenery, desolate roads, and its reputation as one of the toughest but most gratifying endurance challenges available. The course has a total elevation gain of over 35,000', crosses ten mountain passes, and stretches from Santa Clarita (just north of Los Angeles), across the Mojave Desert, through Death Valley National Park and Mojave National Preserve, to the finish line at the gateway to Joshua Tree National Park, Twentynine Palms, CA. 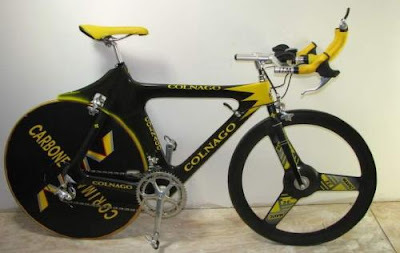 I am going to start a photo collection here, in this blog entry, of the many interesting TT bike designs that the various builders have conjured. Have a good photo? Send to veronaman@gmail.com.